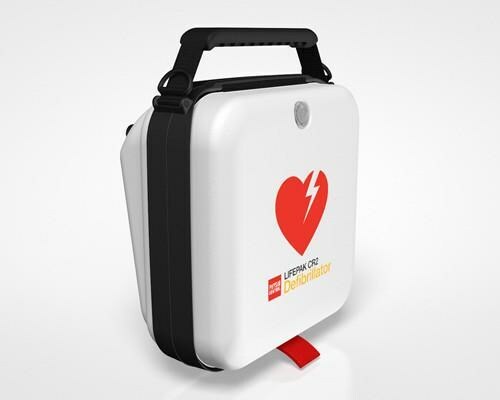 The groundbreaking LIFEPAK CR2 Defibrillator with analysis through CPR, no more stopping CPR for analysis and an astounding stop to shock time of as little as 7 seconds*. 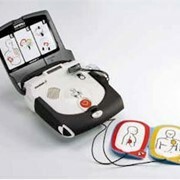 Once CPR begins, cprINSIGHT technology automatically analyses and detects if a shock is needed. This significantly reduces pauses in chest compressions, even eliminating pauses if the rhythm is determined to be nonshockable. And more CPR means improved blood circulation and better odds of survival. 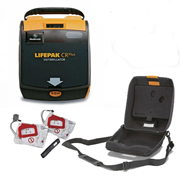 The Lifepak CR2 is the only AED that allows chest compressions during ECG rhythm analysis thereby reducing pauses between CPR and defibrillation. 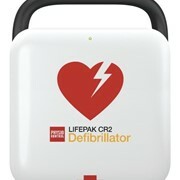 In an AED comparison study, the CR2 helped lay responders deliver the highest overall CPR quality. If a shockable rhythm is detected, the CR2 delivers shocks with powerful escalating energy, with no judgment call required on the part of the user. 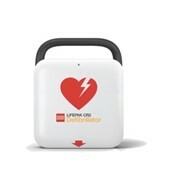 Sudden cardiac arrest (SCA) kills tens of thousands of Australians each year, it can happen to anyone—anywhere. Immediate treatment is vital. 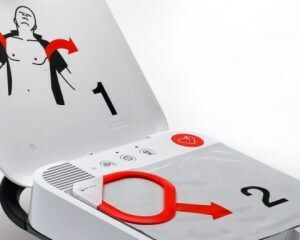 A victim’s chance of survival dramatically decreases for every minute without treatment.1 That’s why access to defibrillators is so important. They put lifesaving technology where it can do the most good. Every SCA response requires CPR. Every single one. 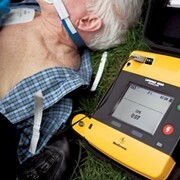 Previously, CPR had to be interrupted for heart rhythm analysis, and older, competitive technologies require rescuers to pause for 10 seconds or more. 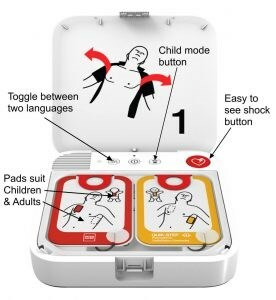 Unfortunately, interrupting CPR adversely affects survival rates and the 2015 European Resuscitation Council (ERC) Guidelines recommend minimising pauses to increase the chance of a successful outcome. 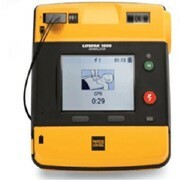 LIFEPAK CR2 defibrillator uses simple graphics, audible instructions and automated features to help users remain focused. QUIK-STEP™ electrodes Peel directly off the base for faster side-by-side placement. 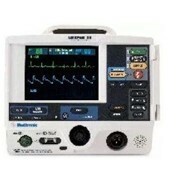 Metronome and CPR coaching Sets an effective pace and audibly guides users,detecting and correcting technique as needed. Bilingual Toggle between two pre-set languages when using the device. 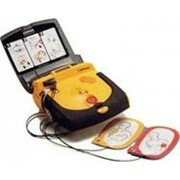 For more information or a quote on the LIFEPAK CR2 AED Defibrillator please call or email for a direct reply.